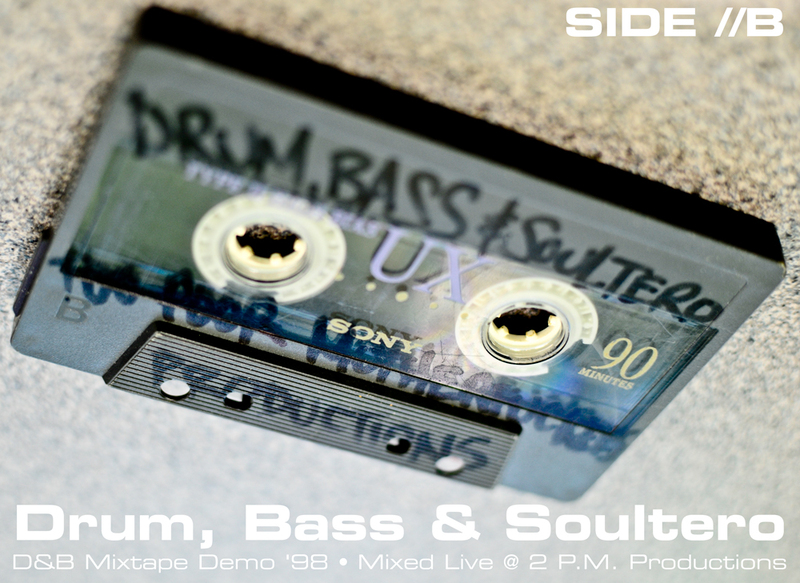 SIDE B: Made this Mixtape back in the ’90s when I was into Drum & Bass and Jungle. The recording was done straight to analog cassette, using only vinyl and no effects, other than mixer and turntable techniques. I used a lot different records to create this mix such as House accapellas, sound effects records and weird parts of different vinyls that aren’t Drum & Bass or Jungle related songs. The Mixtape was produced in a home grown studio of “Too Poor Motherf#¢kers Productions“, which was managed by me, deejaysoul and DJ Loco (Gregory Antione).